Richard (Rick) Schmunk, chair of the Music Technology program, teaches within the Music Industry, Popular Music and Scoring for Motion Pictures and Television programs at the USC Thornton School of Music and is an active music technology clinician in the U.S. and Canada. 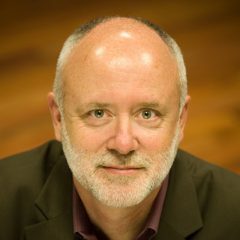 Rick Schmunk, Music Technology program chair, teaches within the Music Production and Popular Music programs at the USC Thornton School of Music and is an active music technology clinician. His research interests include the integration of technology in music instruction and music performance. Rick has presented papers at the Association for Technology in Music Instruction (ATMI), College Music Society (CMS), International Society for Music Education (ISME), Jazz Educators Network (JEN), and Technology for Music Education (TI:ME) national and international conferences. His recent Lynda.com publications include Ableton Live 10 Essentials, Up and Running with Ableton Analog, Up and Running with Ableton Operator, and Learning Music Notation.